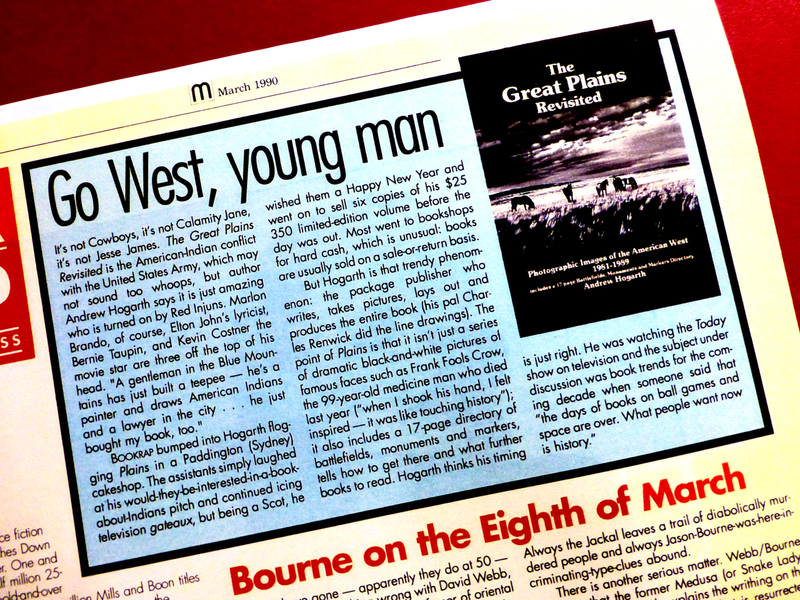 Scotland native writing book on Sioux Indians, The Custer County Chronicle , Black Hills, South Dakota, USA. By Steve Prinsen, Thursday, September 20, 1984. Light at the End of the Tunnel, Independent Book Review, Sydney, NSW, Australia. By David Priestley, Tuesday, November 23, 1984. Joe says ‘How’ to author with a similar view, The Daily Mirror, Sydney, NSW, Australia. By David Dawson, Monday, December 3, 1984. The Sioux’s record set straight, The Daily Telegraph, Sydney, NSW, Australia. By Malcolm Andrews, Monday March 11, 1985. ‘Light’ is short but complete, The Custer County Chronicle, Custer, South Dakota, USA. By Dirk Moore, Thursday, May 11, 1985. Scottish author tells Sioux Indian tales, The Riverton Ranger, Riverton, Wyoming, USA. Wednesday, May 22, 1985. Scotsman’s book tells story of Teton Sioux, The Rapid City Journal, Rapid City, South Dakota, USA. By Debra Bossman, Saturday, July 15, 1985. Baddies were really goodies, The Edinburgh Evening News, Edinburgh, Scotland. By John Gibson, Friday, August 9, 1985. 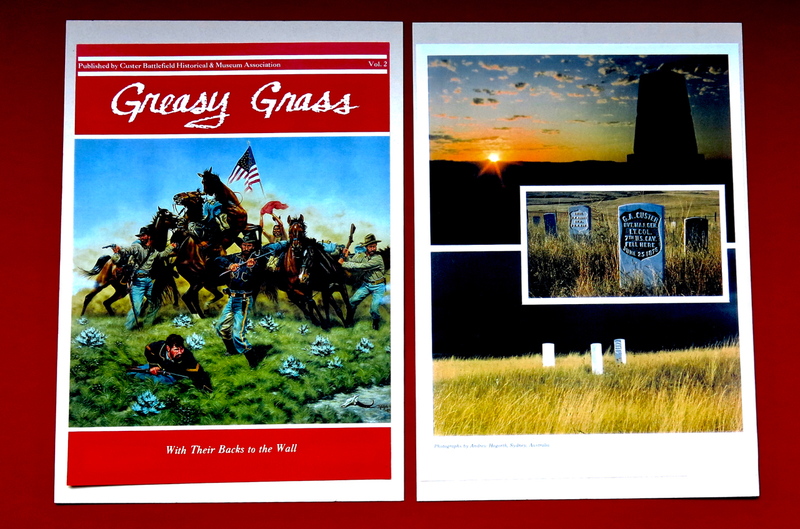 Custer Battlefield National Monument, The Greasy Grass Annual Magazine, Montana, USA. July, 1986. Fort Phil Kearny / Bozeman Trail Association, Annual Magazine, Wyoming, USA. July, 1986. The Teton Sioux: Light at the End of the Tunnel, The Guardian Newspaper, Sydney, NSW, Australia. By Tom Pearson, Thursday, February 18, 1987. A Sydney paleface tells of life among tribal Indians, The Daily Telegraph, Sydney, NSW, Australia. By Marianne Bilkey, Thursday, March 10, 1988. Scotsman records rare images of Sioux Chief Frank Fools Crow, News Corporation Journal, NSW, Australia. By David Mason, December 28, 1989. The Great Plains Revisited, The Weekend Australian, Sydney, NSW, Australia. Saturday, February 3 – 4, 1990. Go West, Young Man, Mode Magazine Book Rap, Sydney, NSW, Australia. By Daphne Guinness, March Monthly Issue, 1990. Brave Crusader, The Daily Telegraph, Sydney, NSW, Australia. By Adam Walters, Saturday, March 10, 1990. Cheyenne Hole: The Story of the Sappa Creek Massacre, The Guardian, Sydney, NSW, Australia. By Tom Pearson, Wednesday, November 12, 1991. ‘Past Life’ focus on modern shame, Independent Book Review, Sydney, NSW, Australia. By Rob Inder Smith, Tuesday, December 17, 1991. The truth about an Indian massacre, The Sunday Telegraph, Sydney, NSW, Australia. By Maria Trefely-Deutch, Sunday, December 22, 1991. Dignity shines like a beacon, Independent Book Review, Sydney, NSW, Australia. By Ethel Bohnhoff, November 23, 1992. Little gems of the Lakota rounds, Independent Book Review, Sydney, NSW, Australia. By Rob Inder Smith, November 23, 1992. Tale of ‘two-legged people’ The Sunday Telegraph, Sydney, NSW, Australia. By Maria Trefely-Deutch, Sunday, November 23, 1992. A determined survival, Independent Book Review, Sydney, NSW, Australia. By Ethol Bohnhoff, Friday, December 11, 1993. Battlefields, Monuments and Markers: The American West, Book Review, Sydney, NSW, Australia. By Rob Inder Smith, Monday, December 16, 1993. Native Lands: The West of the American Indian, The Australia, The Guide Essential, Sydney, NSW, Australia. Friday, October 7, 1994. Images of the Red Man’s life, The Daily Telegraph, Sydney, NSW, Australia. By Stewart Hawkins, Saturday October 8, 1994. Native Lands: The West of the American Indian, ABC Television Marketing, “ What’s On “ Inflight Video, Qantas Airlines, Australia. April, 1994. In a time before Disneyland and Macdonalds, 3D World Magazine, Sydney, NSW, Australia. Tuesday, October 11, 1994. Windows to another world, The Wentworth Courier, Sydney, NSW, Australia. By Cathryn Harris, Wednesday, November 2, 1994. Native Lands Native Images, The Drum Media, The Arts, Sydney, New South Wales, Australia. Wednesday, October, 12, 1994. Native Lands: West of the American Indian, Jackson Hole News, Falls Art Festival, Wyoming, USA. By Alison Gregor, Saturday, September 19, 1996. American Indians honoured, Australian Camera Magazine, Sydney, NSW, Australia. By Brian Woodward, July Monthly Issue, 1996. Battlefields, Monuments and Markers, Wild West Magazine, Chronicling the American Frontier, USA, June Monthly Issue, 1996. Battlefields, Monuments and Markers, KLVN Television Network Midday Show, Rapid City, South Dakota, USA, Friday, June 24, 1996. Author’s journey results in photographic treasure, Indian Country Today, Rapid City, South Dakota, USA, By Avis Little Eagle, June 25 – July 2, 1996. Scotsman feels connection to American Indians, Rapid City Journal, Rapid City, South Dakota, USA, By Bill Harlan, Saturday, June 30, 1996. Powwow wow! Australian Camera Magazine, Sydney, NSW, Australia, Thursday, April Monthly Issue, 1997. Tribal Tributes, The Daily Telegraph, Sydney, NSW, Australia. By Caroline Chisholm, Friday, April 11, 1997. Powwow: Native American Celebration, SBS Television Broadcasting, World News, Sydney, NSW, Australia. April 12, 1997. 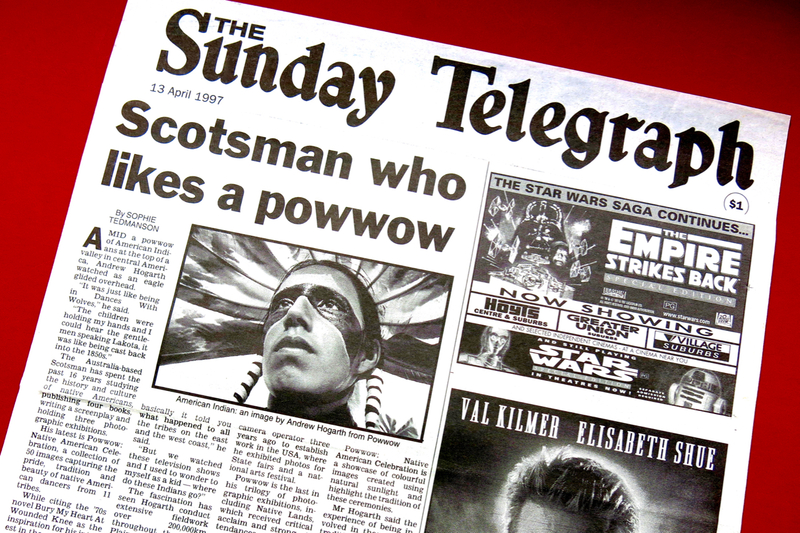 Scotsman who likes a powwow, The Sunday Telegraph, Sydney, NSW, Australia, By Sophie Tedmanson, April 13, 1997. Powwow: Native American Celebration, ABC Radio, Morning Program with Madeleine Randall. Sunday , April 13, 1997. Powwow: Native American Celebration, 2RES, Radio Sydney, NSW, Australia. Later Tonight with Mike Muir, April 19, 1997. Powwow: Native American Celebration, Channel Ten Television, NSW, Australia. Monday To Friday with Greg Evans &amp; Joan Hardy, April 22, 1997. Powwow: Native American Celebration, Channel Seven Television, Sydney, NSW, Australia. Saturday Disney, April, 1997. 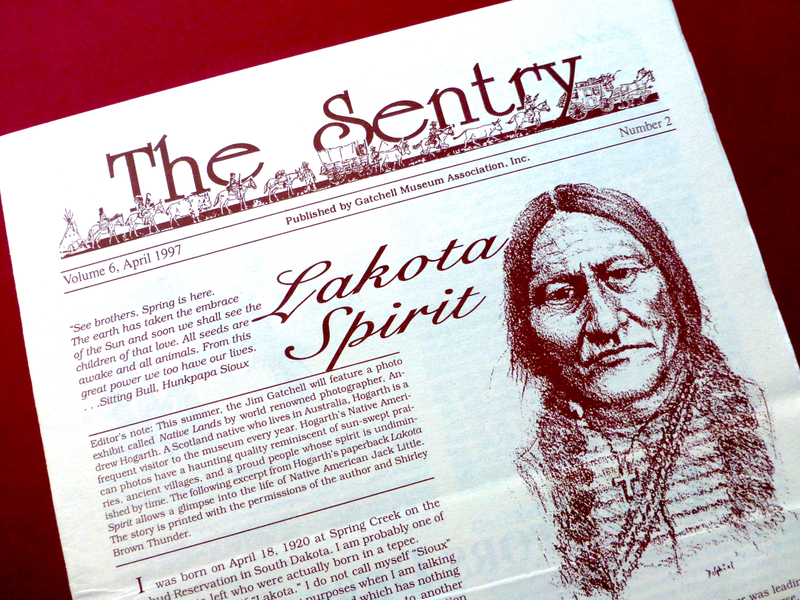 Lakota Spirit, The Sentry Magazine, Jim Gatchell Museum, Buffalo, Wyoming, USA. Volume 6, April, 1997. The Lost Birds, The Australian, Sydney, NSW, Australia. By Cameron Stewart, Tuesday, June 3, 1997. 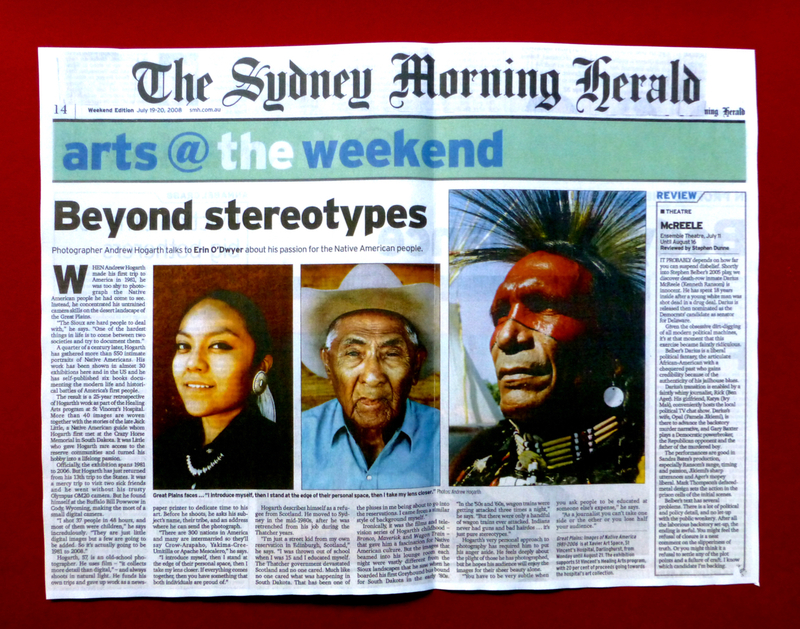 Strong Hearts: Images of Native America, 3D World Magazine, Sydney, NSW, Australia. Tuesday, April 15, 1998. Strong Hearts: Images of Native America, Revolver Magazine, Sydney, NSW, Australia. Wednesday, April 16, 1998. Strong Hearts: Images of Native America, ABC Radio, Morning Program with Madeleine Randall. Sunday , April 20, 1998. The Fetterman Battlefield, The Bozeman Trail: Gold Rush To Montana, 1863-1868, Map. Edited by Susan Badger Doyle & W.S. Neal, Oregon, USA. Native Heritage: ‘Powwow’ exhibit, depict Native American culture, The Great Bend Tribune, Kansas, USA. By Linda Dueser, September 9, 2001. Indian Nation: “Powwow” exhibit focuses on tribes traditions, Las Vegas Sun, Nevada, USA. By Kimberley McGee. Saturday, February 26, 2002. Powwow: Native American Celebration, Native Peoples Magazine, Phoenix, Arizona, USA. March – April Issue, 2002. Native Hearts, Sun Herald, Sunday Life Magazine, NSW and Victoria. By Rosemarie Milsom, Sunday, April 13, 2003. Trust: The key to thoughtful images, Independent Review, Sydney, NSW, Australia. By Rob Inder Smith, December 29, 2005. Beyond stereotypes, Sydney Morning Herald, Sydney, NSW, Australia. By Erin O’Dwyer, Saturday, July 19, 2008. Collection is about healing, The Sunday Telegraph, Sydney, NSW, Australia. By Miawling Lam, Sunday, July 20, 2008. 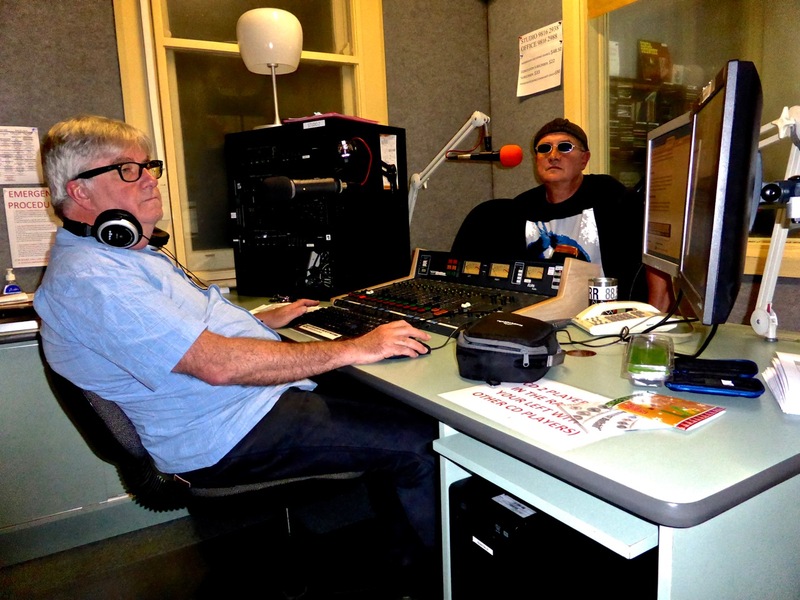 Little Bighorn to Wounded Knee, ABC Central Coast Radio with Brad Story, NSW, Australia. Wednesday 23, November, 2010. Photographer’s powwow, The Central Coast Advocate, NSW, Australia. By Clare Graham, Friday 25, October, 2010. Hands of Time, Australian Journey Travel Magazine, Tasmania, Australia. By Kim Vaughan, October, 2012. Newcastle Writers Festival, Town Hall, New South Wales, Australia, Sunday 7, April, 2013. Radio Interview with Angela Stretch, Eastside 89.7FM Radio, Paddington, Sydney, NSW, Australia, Saturday 18, January, 2014. Radio Interview with Chris Virtue, 2RRR Gladesville Radio, Sydney, NSW, Australia, Saturday, 18, January, 2014. Radio Interview with Chris Virtue, 2RRR Gladesville Radio, Sydney, NSW, Australia, Saturday, 13, December, 2014. Powwow Healing, The Independent City Hub Newspaper, Sydney, NSW, Australia, Monday, 15, January, 2014.